Convert the data in DVD discs and DVD ISO files into video and audio suitable for various devices. EelPhone DVD Converter makes it easier and more free to enjoy the video and audio in the DVD. 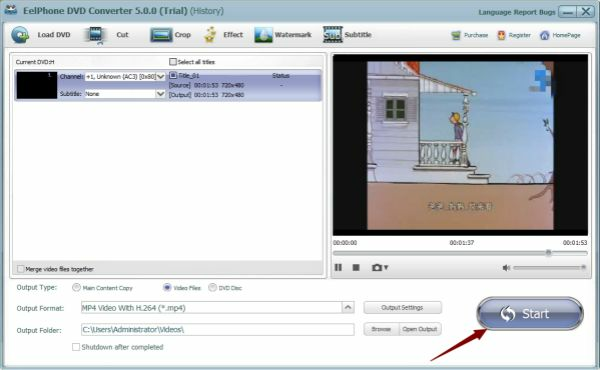 Put the DVD into your computer and the EelPhone DVD Converter can extract all the audio from the DVD and save it to your computer and mobile device. You can also edit the video in the DVD：Cut / Crop / Effect / Watermark / Subtitle the video in DVD as you like, then you can enjoy it in PC or mobile device. Various output formats of video and audio. You can freely select the output format, such as popular AVI, MPEG, WMV, MP4, RMVB, FLV, MOV, 3GP format, etc. The output quality of video will also maintain the quality of the original DVD. The DVD may also store audio. You can extract the audio in DVD into WAV, MP3, WMA, OGG, AAC, MP2, FLAC and other formats. The converted audio can be played on iPod and other devices. Powerful function to edit video. Maybe sometimes you have your own ideal on the videos in the DVD, then you can use EelPhone DVD Converter to play your original ability. You can cut a video into multiple according to your needs; you can also crop a part of the movie; beautify your video with special effects; you can adjust the brightness of the video. 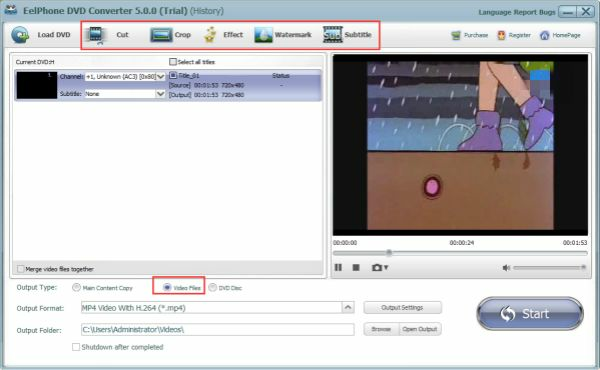 There are also powerful function to watermark and subtitle the video. Convert it to your PC or mobile device to enjoy it. Download and open Eelphone DVD Converter. You can load DVD from DVD disc / DVD Folder / DVD ISO. Definition of Output Type / Output Format and Output folder. You can Cut / Crop / Effect / Watermark / Subtitle the video. 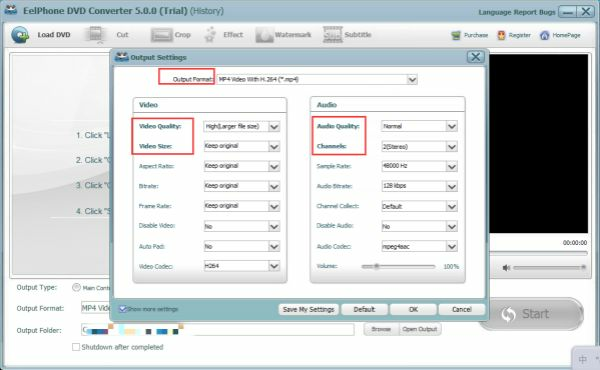 You can set video and audio output quality in Output Setting. 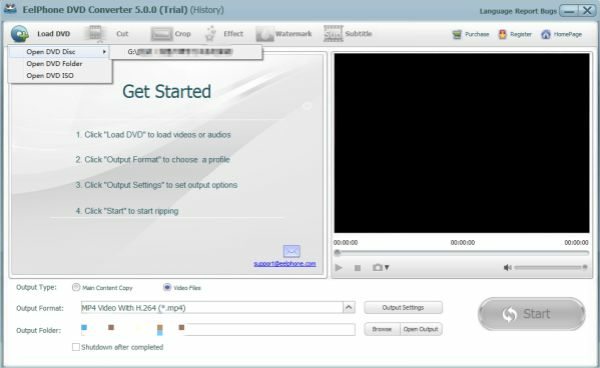 Click "Start" to convert the video or audio in DVD as you like.